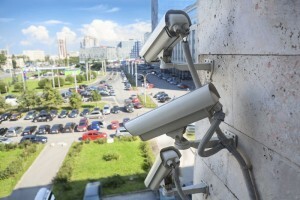 When it comes time to invest in a new security system or supplementary video surveillance products, it can be difficult to decide which vendor to choose. The array of options is truly dizzying and trying to decide which company is the most reputable and best serve your long-term needs can feel like a shot in the dark. To make an informed decision, there are a few key considerations you must make before choosing a security system vendor. Learn more in today’s blog, below. Keep these elements in mind when choosing a security system. Will this product meet my future needs? In order for your new system to truly meet the needs of your organization, you must ensure that it will be effective now as well as in the future. This means it is critically important to work with a vendor who you trust to be in business 5, 10, and even 20 years from now. In addition to the longevity of the business, the technology itself must also allow for technical advances that simply do not exist yet. Will I be able to install and maintain this product? The less time you have to spend on installing and maintaining your security system, the more time you will have to devote to your business. Finding out the amount of upfront time it will take to get the system running as well as the amount of effort required by its ongoing maintenance needs will allow you to better determine which system offers the most efficient benefits to your business. Will this product be a truly cost-effective option? When considering cost, you must weigh both the upfront cost as well as long-term use and maintenance. While a low initial price point may be tempting, you may realize only later that the cost of upkeep for a certain product drives the total price significantly higher. By taking these factors into consideration before purchasing a security system, you can help to ensure that it will be money well spent. This entry was posted on Thursday, May 12th, 2016 at 1:41 pm. Both comments and pings are currently closed.